In May 2018, Chen Yixin (陈一新), the secretary of China’s top political body overseeing law enforcement, rolled out what in the brittle-dry world of Chinese political discourse might amount to a memorable new catchphrase. 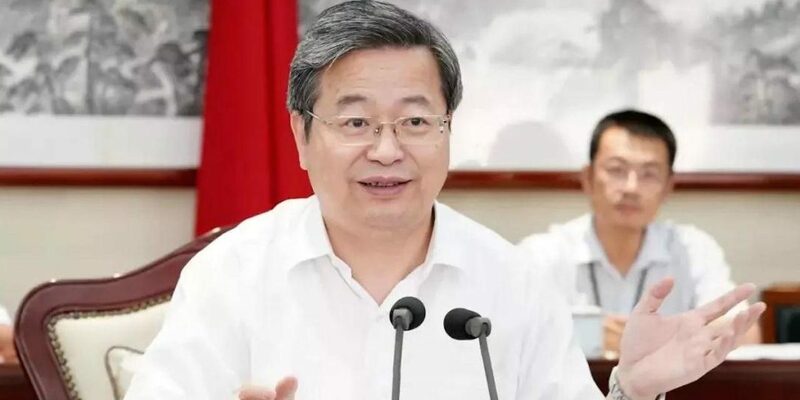 Addressing a forum on propaganda, Chen spoke of the need for “6 grabs,” or liu ge zhua (六个抓), the idea being that the Chinese Communist Party had to be aggressive in several key areas if it hoped to set the agenda on policing and other law enforcement matters. * The need to “grab” correct guidance (抓导向), meaning control of the political discourse. * The need to “grab the team” (抓班子), meaning to ensure a strong and cohesive leadership group for political and legal affairs. * The need to “grab” talent (抓人才), recruiting the right people for leadership. * The need to “grab” reforms (抓改革), meaning to actively implement necessary changes for strong leadership. * The need to “grab” policies (抓政策), meaning resolute implementation of the Party’s agenda. * The need to “grab Big V’s” (抓大V), meaning to build influence on social media platforms in order to reach ordinary citizens with law-and-order propaganda. Chen’s words were a fairly typical deployment of Partyspeak, another bullet-list formula to project a can-do attitude. But the storm of reactions from internet users on social networks underscored just how difficult leaders like Chen can find it to speak a language ordinary people can understand. 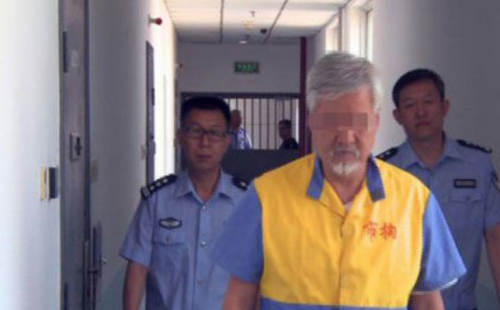 American investor Charles Xue is shown on Chinese television following his arrest in 2013 on charges of soliciting prostitution. Was Chen, the country’s top law enforcement official, now issuing another call for the arrest of popular “Big V” influencers? The word “grab” in Chinese was originally an active verb, used in phrases like “scratching an itch,” or zhuayang (抓痒), or “to arrest a person,” zhuaren (抓人). The essential meaning is “to grasp” or “seize” (把握), as in to “seize the time” (抓紧时间). Over decades, however, “grab” has become formalized as a part of the official Party discourse, pointing to active and conscientious leadership. When we look at the Party’s People’s Daily going back to the 1940s, we find uses of the character in the early period under the Chinese Communist Party that accord with the common usage “to grab.” For example, the phrase zhuabin (抓兵), meaning “to capture [enemy] soldiers.” By the end of the 1940s, however, ahead of the founding of the People’s Republic of China, we can find the meaning changing as Maoist discourse exerts a powerful influence on the language. When Mao Zedong summed up the “12 work methods” (12条工作方法) for Party committees at the Second Plenum of the 7th National Congress of the CCP in early 1949, sixth on the list was the need to “firmly grasp,” or zhuajin (抓紧). Mao said that to “grasp but not tightly was tantamount to not grasping at all” (抓而不紧，等于不抓). So here we find the character zhua directly associated with the verb “to lead,” or lingdao (领导). From this point, “firmly grasping” starts to become synonymous with “strengthening leadership,” or jiaqiang lingdao (加强领导). After the middle of the 1950s, we see this sense of “grab” picking up in the People’s Daily, with a pair of relevant phrases appearing, for example, in an article on December 28, 1956: “grabbing crucial points, then talking about rectification and improvement” (抓关键——再谈整改); “looking to three years for ten year [planning], and for three-year [plans] grabbing the first year” (十年看三年，三年抓头年). In 1958, during the Great Leap Forward, the word “grab” became a constant feature of Party discourse. The phrase “grabbing ideology, grabbing production and grabbing lifestyles” (抓思想抓生产抓生活) became a regular slogan. For Mao Zedong, zhua was first and foremost about “grabbing the struggle” (抓斗争) and “grabbing the revolution” (抓革命). In 1963, Mao Zedong raised his famous slogan, “Once struggle is grabbed, miracles are possible” (阶级斗争，一抓就灵). During the Cultural Revolution, Mao’s slogan “Grab revolution and promote production” (抓革命, 促生产) became ubiquitous. In 1967, a total of 1,132 articles in the People’s Daily made mention of this slogan. Following Mao’s death in September 1976, Hua Guofeng moved to arrest the members of the “Gang of Four” and bring the Cultural Revolution to an end. His strategy during his brief leadership was to “grab the key plan and govern the nation” (抓纲治国), which essentially meant bringing the terror of the “Gang of Four” to an end while still maintaining Mao’s ideological line of class struggle. As the Third Plenum of the 13th National Congress in December 1978 ushered China into a new era of reform and opening, many of the Party’s slogans were abandoned, and some language considered negative during the Mao era came to represent positive values. The meaning of “grab” within the Party discourse persisted, though it came with new priorities: “grabbing the economy” (抓经济), “grabbing administration” (抓管理), “grabbing practical matters” (抓实事), “grabbing the system” (抓制度), “grabbing the One Child Policy” (抓计划生育), “grabbing the vegetable basket [of food supply]” (抓菜篮子), and “grabbing reform” (抓改革). Addressing the need for China to expand computer use among the population, Deng Xiaoping said in 1984 that “the popularization of computer use must be grabbed starting with the babies” (计算机的普及要从娃娃抓起). Chinese political discourse has continued to evolve through the reform period, but as the recent Chen Yixin case shows, the gap with common language use can fuel misunderstanding. Criminal suspects can be “grabbed,” but so can political objectives. This article was contributed to CMP by freelancer Olivia Yin Li and translated from Chinese.